Southwest Integrated Solutions was formed in 2002. Since the exception and settlement with vestures, our family has grown. And I have added key people to Southwest Integrated Solutions with the additions of my wife and two sons! My wife, Valerie, is the Secretary/Treasurer of the company. She handles the active part in being the controller and runs the Accounting Department. My oldest son, Brett, is the Vice President of Operations and my youngest son, Ryan, is the Service Manager. Today, with the dedication of my direct family and even more importantly our key employees. We have made Southwest Integrated Solutions a complete success. With key team member Harold Ammons, our Director of Business Development and many other key employees. 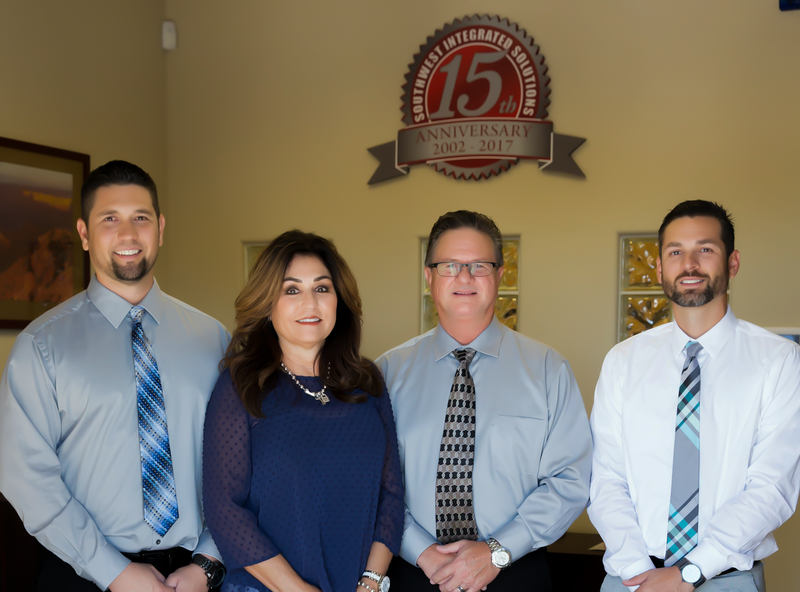 We have formed one of the largest “Special Systems Integrator” in the state of Arizona. Southwest Integrated Solutions now has well over 30 employees and uses several other networking companies to provide the “State of the Art Solutions” to all commercial low-voltage needs. Today we have the reputation of a “One Stop Company” that furnishes, installs, tests, designs, and offers complete applications for all commercial low-voltage needs in the field of schools, hospitals, high-rises, airports, retail shops, healthcare facilities, churches and many more applications. With over 38 years in the fire life safety industry and low-voltage market from design, install, testing, monitoring and servicing, we focus on the customer’s complete needs. We specialize in new ground up projects along with small to large tenant improvements. Southwest Integrated Solutions offers 24/7 service to all of our contract customers with repairs within 2 hours if needed. Southwest Integrated Solutions also uses a UL listed monitoring company for all of our monitoring needs in commercial and residential projects. We are “Rising to the Challenge” in our ever growing company and looking forward to our future!